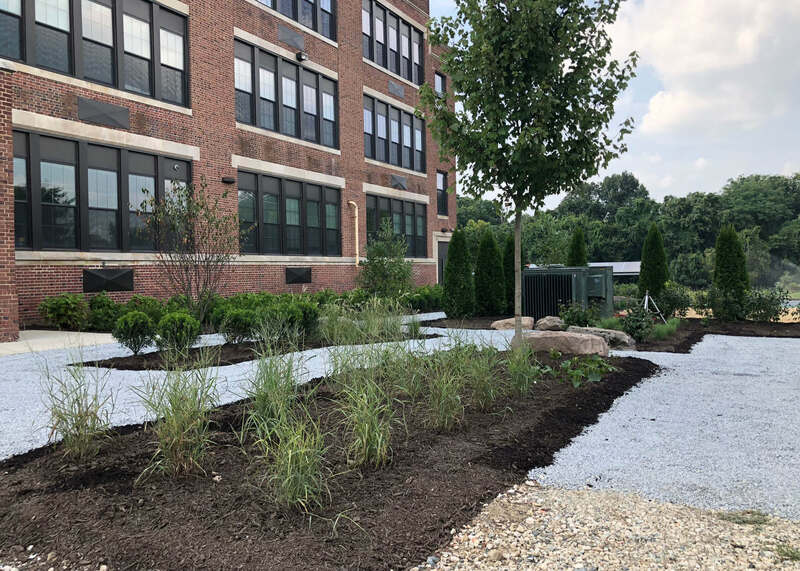 Last month, Craig Gaulden Davis and the research team with students and staff from Baltimore’s Green Street Academy gathered to install a garden outside of a classroom as part of The Impact of Biophilic Learning Spaces on Student Success study. Biophilia is a hypothesis that humans are innately and beneficially drawn to associate with nature. 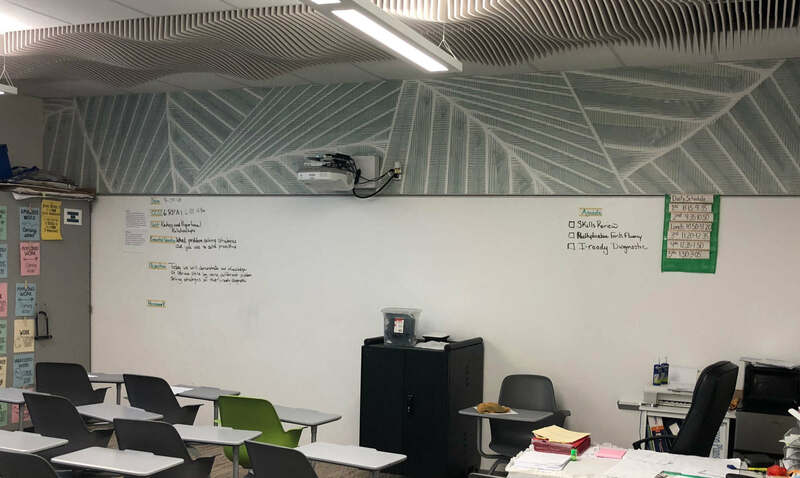 The study replicates natural elements within the classroom by employing biomorphic patterns, images, and views that yield reduced stress, improved cognition, and ultimately improved student success. 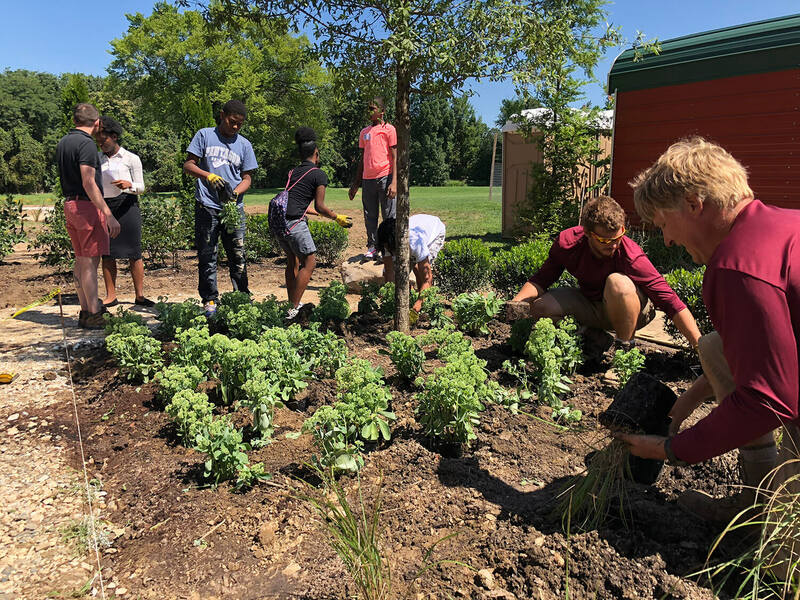 The 6th-grade math class is closing in on three weeks in their biophilic classroom. The carpet, ceiling, walls, and shades contain patterns and images that are nature-inspired. 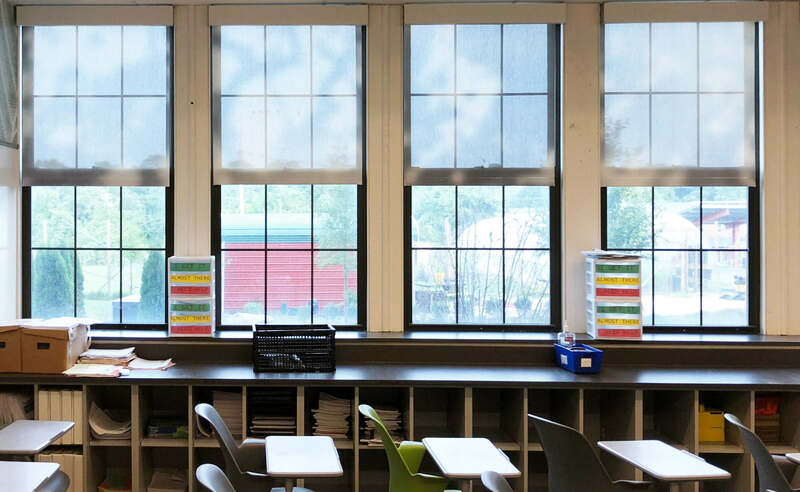 The motorized shades diffuse the light and automatically retract providing maximum daylight and views to nature. 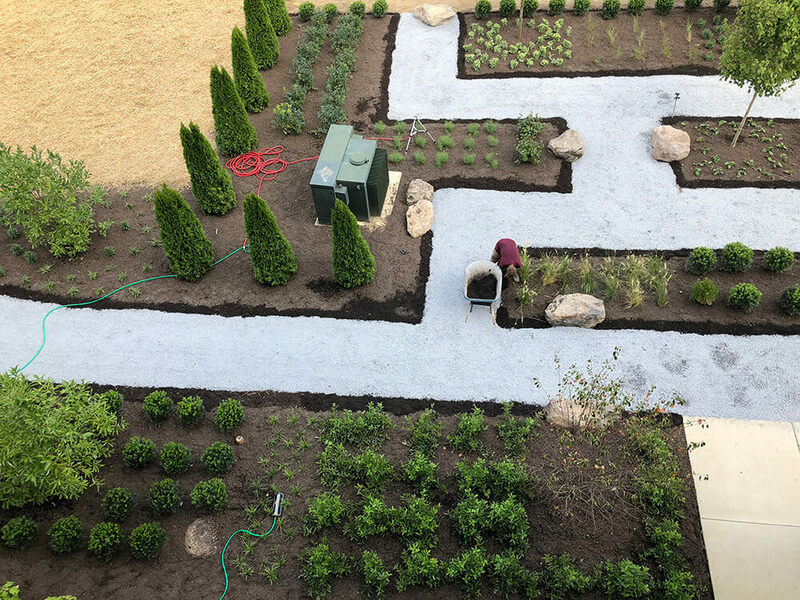 To facilitate the study, Morgan State University architecture students will gather heart rate variability readings of students three times per week. The data will be aggregated for trends and assessed by a psychologist for stress levels. At the end of each semester, the average class grade and teacher evaluations will be compared with classes of previous years. 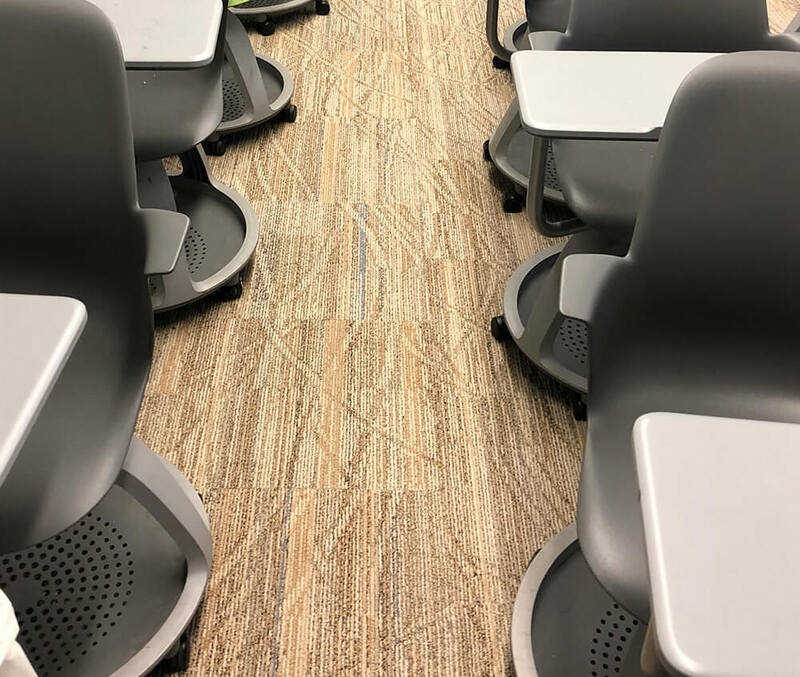 The study will suggest if biophilic design contributes to student well-being and improved learning outcomes. If so, these design practices can be replicated in classrooms for the benefit of all learners.